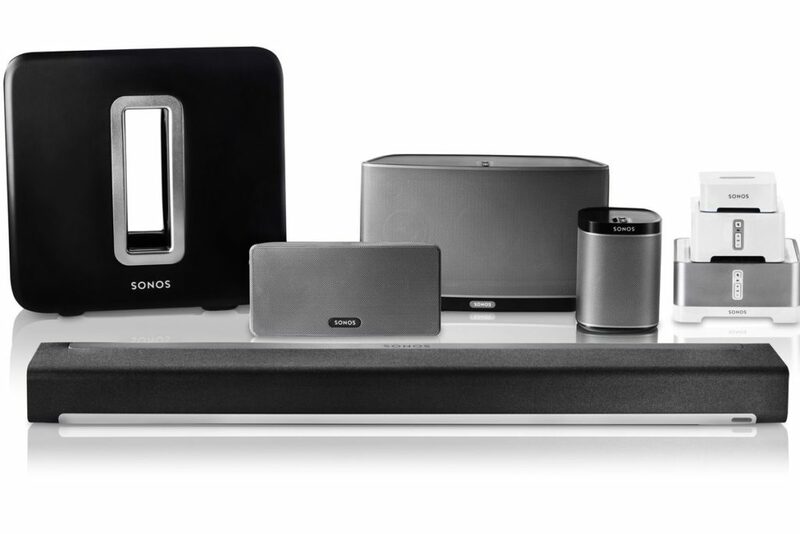 Sonos is the wireless Home Sound System that fills as many rooms as you want with great-sounding music, movies, and TV. Stream via WiFi. Play whatever you’re craving. And amp up every moment with intense, pulse-pounding sound. Sonos is not the run-of-the-mill Bluetooth enabled speakers that can lose connection or get interrupted by all the things that our phones are tasked to do. Sonos is a does wireless sound better. Works With Most Music Streaming Services. Amazon Alexa brings convenient voice control to your Sonos Home Sound System. Sonos One allows you to start and control your music with your voice. Amazon Alexa built right in. Or connect any Sonos speaker to an Amazon Echo or Dot over wi-fi, and you’ve got instant, hands-free control of your favorite music and more.